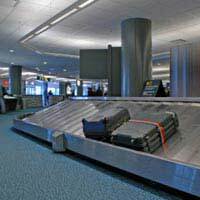 It’s not uncommon for flights to be delayed, luggage lost or for holiday companies to go bust. Many of these problems should mean compensation but receiving money back can be problem in itself. Arriving abroad to find booked accommodation is not as advertised is not an uncommon problem for holiday makers. Delayed flights, lost luggage and bankrupt airlines are just a few of the problems faced by holidaymakers every year. Travel agencies and holiday companies can be surprisingly unhelpful when it comes to compensation. Many of these companies are simply trying to stay afloat and are not too concerned about repeat customers in the next year. If holiday problems do occur there are certain tactics that should be used to increase the chances of compensation. Placing a compensation value on a holiday problem is a tricky issue. The size of the desired compensation should reflect how much the problem adversely affected the enjoyment of the holiday. This is almost impossible to judge and holidaymakers will very rarely obtain the compensation they think they deserve. Losing luggage for a week may seem like a major problem when compared to shoddy room service or a beach a little further away than advertised in a brochure. Holidaymakers should try to judge how much compensation they should receive and have a good argument to back up the claim. A mistake made by many holidaymakers is who they should actually complain to. If a holidaymaker has booked a holiday that includes accommodation and flights as a package then they should be protected under the Package Holiday Regulations. Complaints and compensation claims should be directed to the tour operator not the travel agency from where the holiday was booked. These complaints should be made to the tour operator as soon as possible after the holiday. If it is possible it will be a wise move to complain during the holiday. There have been increasing problems with airlines going bust leaving holidaymakers either stranded abroad or even before they leave the UK. All tour operators and travel agencies in the UK who sell package holidays and flights are required by law to operate an ATOL protection scheme. The Civil Aviation Authority (CAA) will ensure that passengers do not lose money or are left stranded abroad. Compensation claim forms or details of what to do if stranded abroad can be found at the CAA website. If the compensation claim has been rejected or the dispute has not been settled satisfactorily there are other avenues open. The small claims court is a low cost process that allows consumers to make claims without employing a solicitor. Customers of the travel association ABTA can make a claim by using ABTA arbitration. Again, this is a low cost option and no court appearances are necessary as cases can be made in writing. Holidaymakers who are considering legal action should take advice from agencies such as the Citizen’s Advice or Consumer direct. Holiday problems can be source of frustration but it is important to keep a cool head when making a compensation claim. Always remember to follow compensation claim guidelines, which should be provided by tour operators. Holidaymakers should take the precaution of booking through ATOL protected companies for added peace of mind.